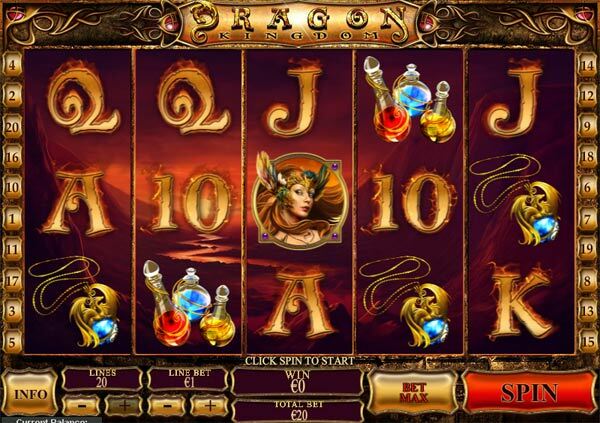 The object of Dragon Kingdom is to obtain a winning symbol combination by spinning the reels. 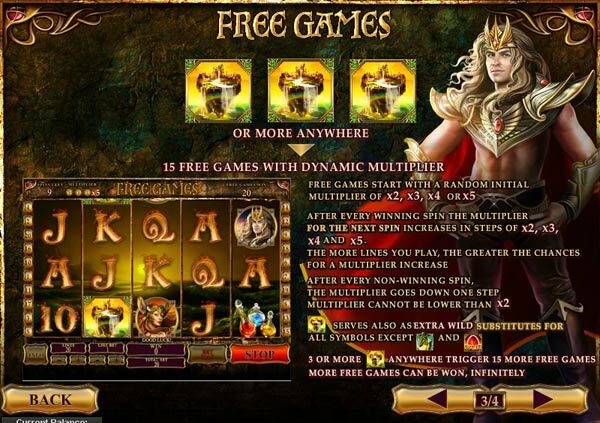 A dungeons and dragons style online video slot machine by Playtech. This game has 20 paylines across 5 spinning reels. The game has potions and castles and the dragon princess to win you pots of cash. Get 3 or more scatter symbols, the magical castle, and you will be awarded with 15 FREE SPINS with a dynamic feature multiplier which will be 2x, 3x, 4x or 5x for each win, If your spin wins the multiplier will increase by 2x, 3x, 4x or 4x for the next spin. If your spin doesn't win the multiplier reduces by 1x. This game also has a dramatic DRAGON SPLIT feature. If you get a SPLIT symbol anywhere on reel 5. This will make the last symbol of any winning payline split into two and double, this makes combinations of 6 of a kind possible and generates bigger wins. This is great addition to the massive slots portfolio that is available at Casino Tropez.